A preliminary follow-up of participants living in the Darwin Health Region was conducted in Darwin when children were aged 5 years, with only anthropometry collected. It was decided that in order to follow up the whole cohort, researchers would have to travel to the children in their communities of residence. Although born in Darwin they now resided in over 40 urban and remote communities across the NT. 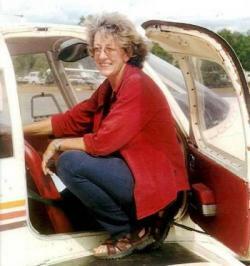 The research team travelled with all the necessary equipment via dirt roads and a small plane, piloted by the late research assistant Kathryn Flynn, to communities across the Top End. With the knowledge that childhood was a time of growth and change, comprehensive information on body size, shape and composition was obtained. Of the original 686 babies, 570 or 85% of living children were examined. An amazing acheivement, particularly given the limited funding. Dr Susan Sayers was joined by Kathryn Flynn and Dr Dorothy Mackerras. Dr Gurmeet Singh also joined the team at this time and completed her PhD. She is now director of the Life Course Program. Data collected included children's personal demographic characteristics, detailed anthropometry, including skin folds, ultrasounds of kidney, lung function assessments and blood pressures. Various blood and urine biomarkers were used to assess cardiac health, metabolic (diabetes) and renal function. Using international Centers of Disease Control growth curves 2000, the mean weight-for-age z-scores (WAZ) at birth and again at 11 years of age were all below the average. Those who were born small for gestational age were smaller, lighter, and had smaller head circumferences compared to those born normal weight. At 11 years, other than a small negative effect of birth weight on systolic blood pressure in post-pubertal boys, all other measured biomarkers showed positive relationships to current child weight. Significant differences were seen in the health of children living in remote communities compared to urban areas. This provided information to assist in development of separate health policies targeting the different groups. Sayers SM, Powers JR. An evaluation of three methods used to assess the gestational age of aboriginal neonates. J Paediatr Child Health. Aug 1992;28(4):312-317.